Montgomery Optometrists have recently invested in revolutionary equipment for retina scans that can detect key eye conditions during a routine eye test. Serious conditions such as glaucoma, age related macular degeneration (AMD) and diabetic retinopathy can be ruled out or identified in their early stages. 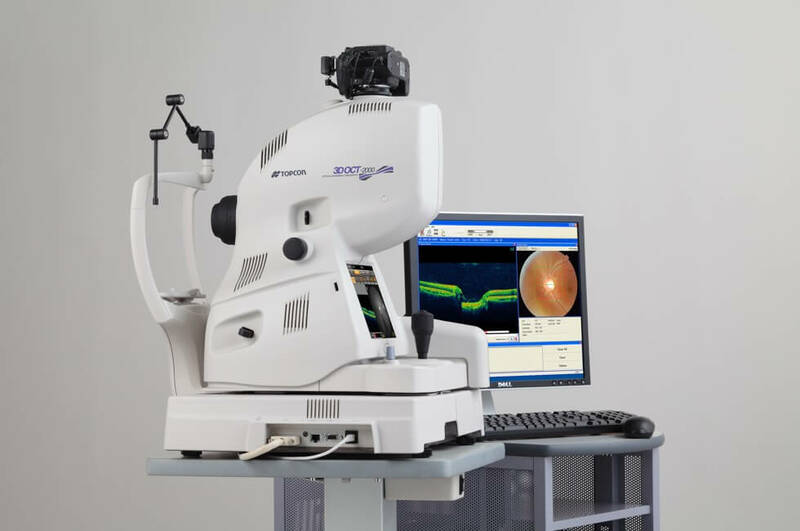 The full name of this state-of-the-art equipment is a 3D Optical Coherence Tomography System (3D OCT Retinal Scanner) and is located in our Haddington practice. OCT Scans are advanced 3D eye scans. Similar to ultrasound, OCT uses light rather than sound waves to illustrate the different layers that make up the back of the eye. This particular 3D OCT Scanner captures a digital photograph of the surface of the eye at the same time and can be cross referenced across any areas of concern. 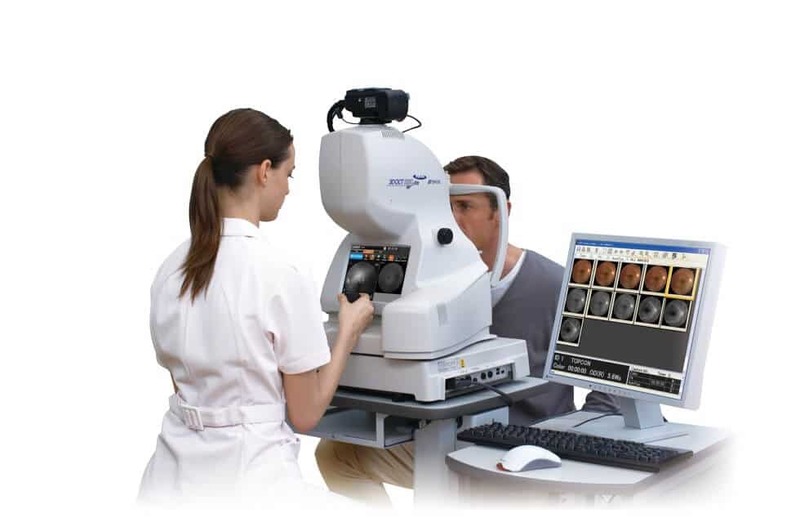 The major benefit of this machine is that it allows your optometrist to see both the back of your eye and a three dimensional image view beneath the surface of the regular retinal image. It has never been easier to find out the exact state and location of a particular eye condition. Your optometrist can review the images on a PC screen and pinpoint areas of concern by digitally peeling the layers back until they define what it is that they have identified as requiring further investigation. This means that we can more confidently diagnose, manage and refer you to a specialist for further treatment, if necessary. You decide whether you’d like an OCT scan as part of your eye examination. There may be an additional charge for the OCT scan, but the benefits are obvious. The software can automatically detect even the most subtle changes in the retina with every eye test you take. This gives an invaluable ongoing record of the health and condition of your eyes.